A conservation easement is a voluntary legal agreement between a land trust or public agency and a landowner that limits development and conserves natural and agricultural land. The specific terms of an easement are negotiated between the parties but typically involve the transfer of certain property rights, such as development rights, to the land trust or public agency. The use of conservation easements grew rapidly in the United States beginning in the 1980s when federal tax incentives were established. Today, conservation easements are one of the principal tools for conservation efforts on private lands. An estimated 146,000 conservation easements have been implemented in the United States, resulting in over 25 million acres of land conserved. These lands provide important benefits such as wildlife habitat, productive farmlands, and recreation opportunities across the United States. In the over 140,000 conservation easements that have been established in the United States, there are scores of success stories. Among these, Trampe Ranch stands out. Located just outside the mountain resort community of Crested Butte, Colorado, the Trampe Ranch was founded in 1907. Its humble beginnings are rooted in a 160 acre potato farm that grew into a working ranch spanning thousands of acres. In addition to sustaining an agricultural livelihood, the Trampe Ranch provides valuable wildlife habitat, including habitat for the Gunnison Sage Grouse, a species federally listed as threatened, and a scenic backdrop to the famous resort town. Because of these benefits, and due to the rapid growth of residential development in the Crested Butte area, the Trampe family recognized the need to protect their land. Several key partners — including The Trust for Public Land, The Nature Conservancy, Colorado Open Lands, Great Outdoors Colorado, and the Natural Resources Conservation Service — came together to conserve the Ranch in an impressive collaborative effort that collectively raised money to conserve 6,000 acres of the iconic ranch. The first phase was completed in 2017 when The Nature Conservancy entered into a nearly 1,500 acre conservation easement with the Trampe family to preserve the ranch operations and critical sage grouse habitat. Partners expect to complete remaining phases of the project by the end of 2018. 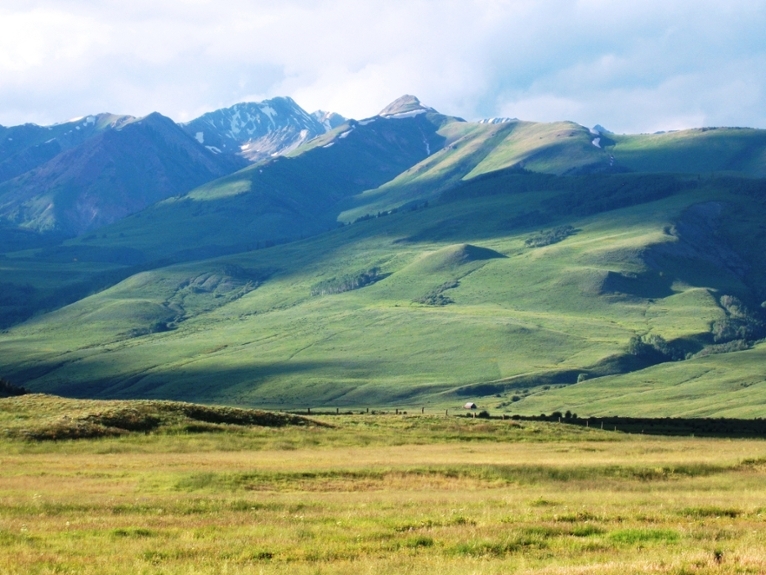 The remarkable collaborative effort will ultimately result in a belt of conserved land in the iconic valley surrounding Crested Butte that maintains scenic vistas, wildlife habitat, and a working cattle ranch in the heart of the Colorado Rockies. "The remarkable collaborative effort will ultimately result in a belt of conserved land in the iconic valley surrounding Crested Butte that maintains scenic vistas, wildlife habitat, and a working cattle ranch in the heart of the Colorado Rockies." The Trampe Ranch outside Crested Butte, CO. Photo: Barbara East. Rissman et al. (2007). Conservation easements: Biodiversity protection and private use. Conservation Biology, 21(3), 709—718.